Rediff.com » Movies » PIX: Janhvi shows us her moves! The girl in gold gives everyone a rocking night! 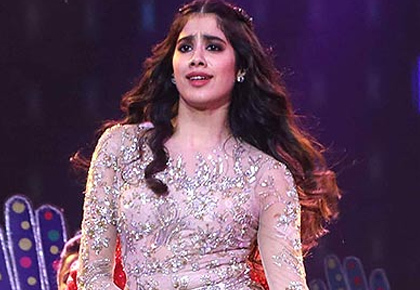 It was a big night for Janhvi Kapoor! 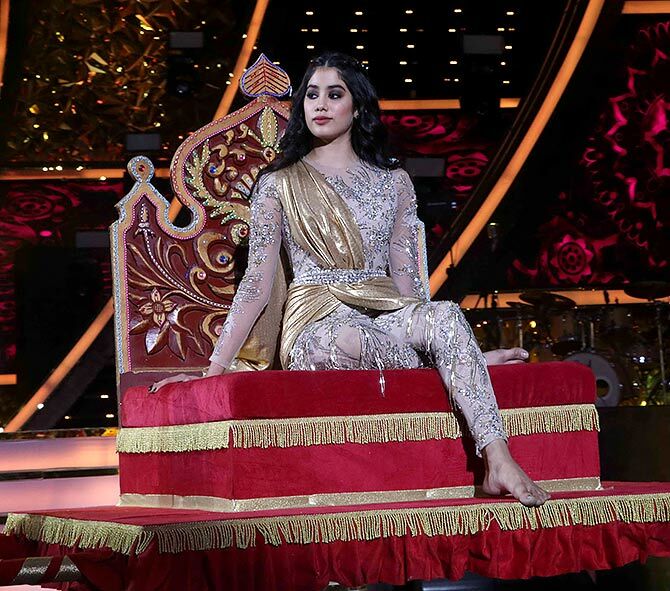 Sridevi's little girl, who only just started her career with Dhadak, made her stage debut at the Mumbai police's annual Umang event. And she made quite the first impression! Wearing gold for the night, Janhvi first danced to a classical selection, and then swung her hips to Sweety Tera Drama (Bareilly Ki Barfi). 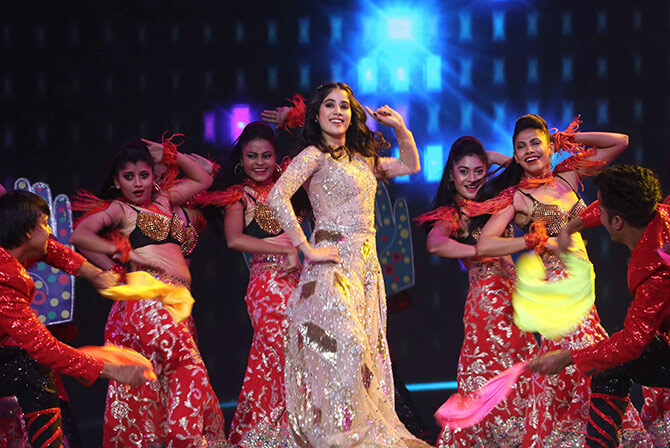 Janhvi certainly owned the stage, and we have pictures to prove it.